Beloved husband, father, son, grandfather and brother, Riley Lee Stottern, 75, passed away peacefully in his sleep the morning of Aug. 30, 2018, at his home in St. George, Utah. He was born May 5, 1943, in Colorado Springs, Colorado, to John Lee Stottern and Josephine Marie Thorne. He married the love of his life, Barbara Jean Bradford, on June 17, 1965; the union was solemnized April 6, 1978, in the Salt Lake City temple of The Church of Jesus Christ of Latter-day Saints. Riley grew up throughout Colorado and Utah. He graduated from Olympus High School in 1961 and continued his education in turf management through Guelph University. He was an active member of the LDS church where he held numerous positions; he especially loved working with the youth. By the age of two, he could be found roaming the Broadmoor Golf Club. He dedicated his life to the golf industry, following in his father’s and grandfather’s footsteps, becoming a certified golf course superintendent. He was involved in the design and construction of eight golf courses in his 49-year career. He was also an avid golfer. 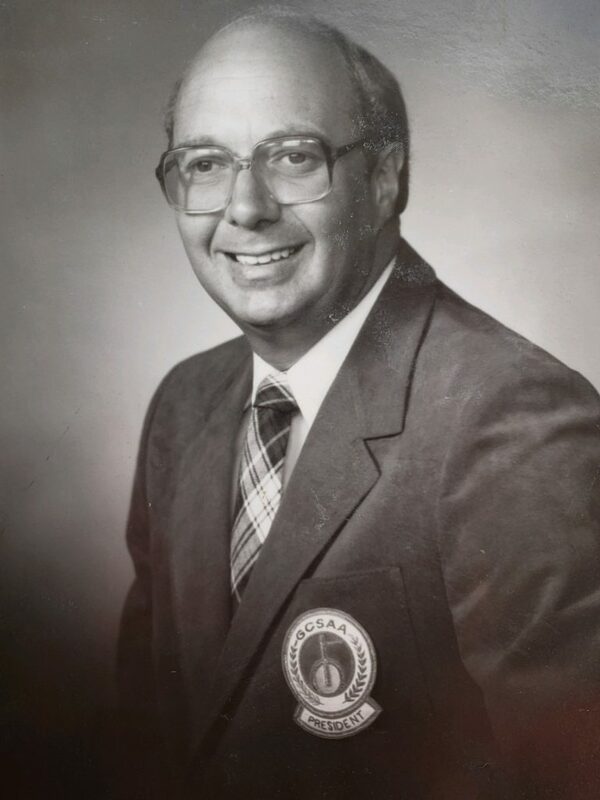 He was a lifetime member of the Golf Course Superintendents Association of America, serving as president of national GCSAA in 1986 and a member of several state and local golf associations. He was also a lifetime member of the National Ski Patrol and spent many years on the hill. Later in life, he was able to enjoy time riding his Harley-Davidson and spending time with his grandkids. He was preceded in death by his parents and three brothers: Bob, Steve and Dru. He leaves behind his wife; three daughters, whom he loved dearly: Tracy (Gary) Hannay, Johnelle (David) Homer and Leslie (Jonathan) Truman; 11 grandchildren; and six great-grandchildren. Funeral services will be held Friday, Sept. 7, at 11 a.m., with a viewing from 10-10:45 a.m., at the Green Valley LDS Ward, 1282 W. 500 South Circle, St. George, Utah. There will be a viewing Thursday, Sept. 6, from 6-8 p.m. at Metcalf Mortuary, 288 West St. George Blvd. Interment will be Saturday, Sept. 8, at 1 p.m., at Memorial Mountain View Cemetery, 3115 Bengal Blvd., Cottonwood Heights, Utah.